Marvel’s Netflix Defenders debuted its official August premiere with curiously little fanfare, but as with the team-up miniseries itself, the real story lies beneath the surface. A new viral tie-in website touches on several ongoing Daredevil mysteries, also updating us on Luke Cage and more. In addition to the August 18 premiere date spelled out by this morning’s teaser, the security footage also contained a series of numbers in the top left corner that led to a New York Bulletin website, authored primarily by Karen Page. Most of the items are fairly straight-forward, between a video interview with the Meachums, and a few archive newspaper covers pertaining to the four Defenders. Well, it’s been a few months since the end of season 2. I think it’s been quite a challenging few months for him. He took the death of Elektra very badly —I think he feels responsible for that. One of Matt’s big things is trying to protect the people he loves, which is why he keeps his identity hidden, and he’s failed. He’s left holding the dead body of a loved one, and so I think he’s tried to turn a corner. 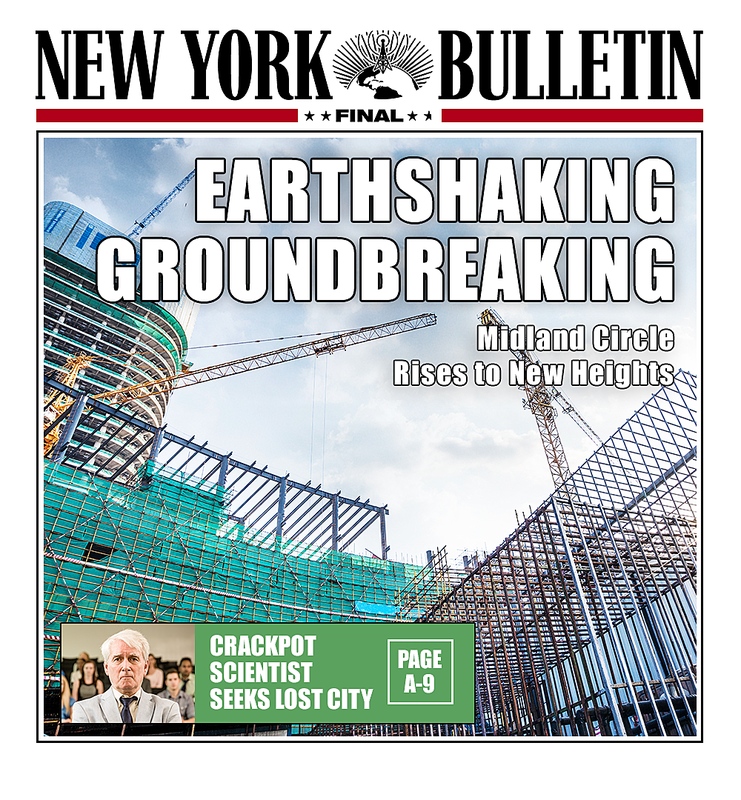 The Bulletin website does skew a bit odder, between Jessica’s cover dating all the way back to her early days with Trish (to say nothing of the Colleen Wing banner ad, which in turn leads to Ward’s LinkedIn), but the fifth newspaper cover does offer an intriguing hint of Midland Circle. As we’ve seen, both Daredevil and Iron Fist point back to these mysterious properties, one of which contains a giant hole in the ground, and it’s no accident that the “CRACKPOT SCIENTIST SEEKS LOST CITY” headline is placed beneath. Might they be referring to K’un L’un, something in the hole, or beyond? There’s more to this rabbit hole yet (the buck can’t stop with Ward’s LinkedIn, right? ), but check out the first teasers for yourself below, and stay tuned for more on The Defenders.